For those who cannot prevent thoughts, ideas or arguments which they do not desire from entering their minds. Usually at such times when the interest of the moment is not strong enough to keep the mind full. Thoughts which worry and still remain or if for a time thrown out return. They seem to circle round and round and cause mental torture. The presence of such unpleasant thoughts drives out peace and interferes with being able to think only of the work or pleasure of the day. 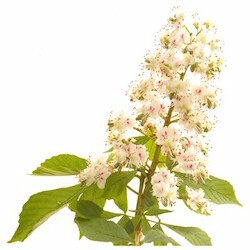 Ingredients: ACTIVE: 5x dilution of Aesculus hippocastanum HPUS. INACTIVE: 27% alcohol.